Thanksgiving is a chance to spend quality time with family and friends, and it’s the perfect excuse to overeat pie, but for many of us, it’s also a holiday during which we’re forced to contend with toxic behavior from people we care about. It’s hard enough to put up with a controlling mother or an aggressively political Uncle Frank when you’re single and childless, but once you become a parent, protecting both yourself and your kids can seem an almost insurmountable challenge. Many parents have relatives who disagree with the way they’re raising their children. 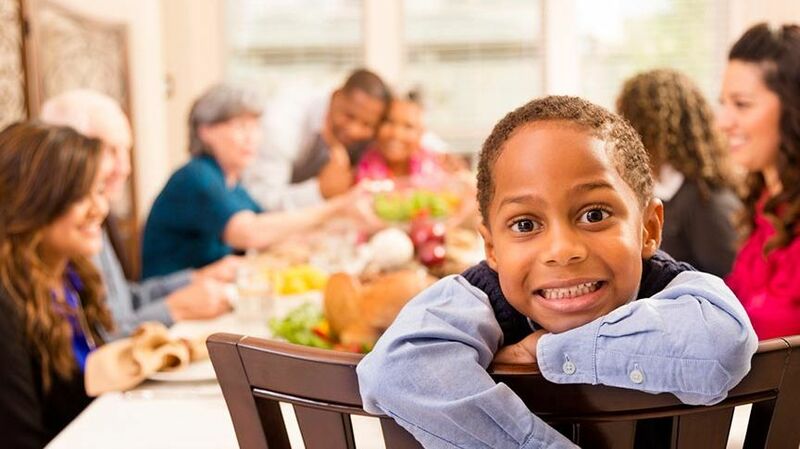 Whether it’s an aunt who refuses to believe your child really does have a gluten allergy or an overbearing grandma who purposely breaks your rules, it can be difficult to assert your parental authority and keep your boundaries for your kids in check while still maintaining a peaceful, picture-perfect Thanksgiving gathering. You can’t control how others behave, but there are some ways to make the holiday less stressful for you and your kids. Here are some of “Dr. Jeph’s” best tips on how to handle friends and family members who won’t stop interfering with the way you parent. Obviously, younger kids can’t articulate these kinds of responses, but children 6 or older can certainly be enlisted to help in their own care and enforce the rules.